High in the Tibetan Himalayas (12,000 feet above sea level) grows a tiny but resilient fruit that resists the harsh weather conditions and high altitudes. The sea buckthorn berry fortifies itself against the elements by producing an array of powerful nutrients. With over 190 bioactive compounds, sea buckthorn is an unsurpassed source of Omegas 3, 6, and 9. And it's a rich source of the elusive essential fatty acid, Omega-7, an essential fatty acid vital to collagen production and healthy skin, hair and nails. I have been recommending Sibu to family and friends - it just feels so good. Very high quality. The Sea buckthorn facial soap is such a treat. You know you've heard people say that a product made their skin so soft. Well this is soft like you've never felt before. I don't know if soft is a measure of success, but it sure feels good and clean and refreshed. Your skin will love you. This bar smells like an orange cremesicle - yum! Sea buckthorn facial cream is wonderful as well. I normally don't like cremes - they always seem heavy as if you can feel the residue on your skin. I generally choose serums or oils. This creme however, goes on light and dissolves into your skin quickly. It feels very nourishing. How far would you go for healthy skin? Sibu brings the Himalayas to you. Paraben-FREE and Cruelty-FREE. No dairy, wheat, gluten, sodium, yeast or preservatives. 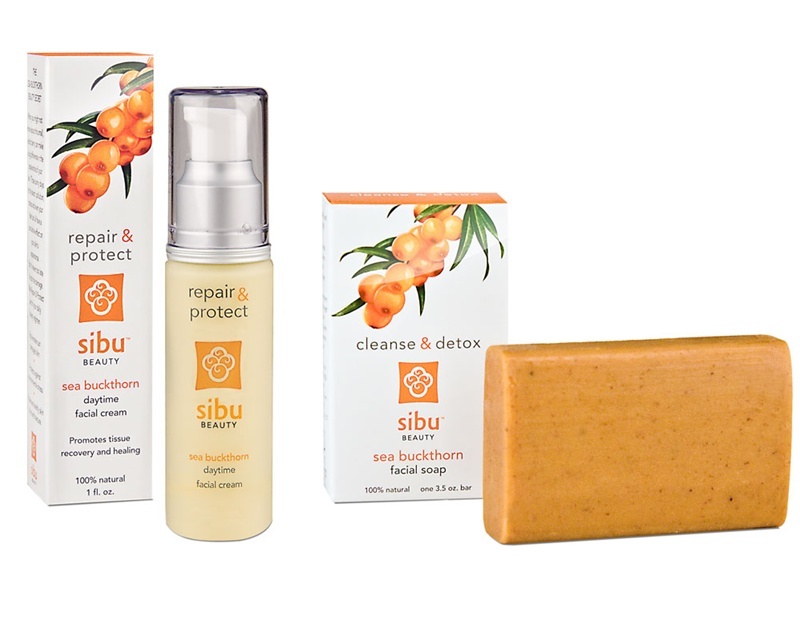 Sibu sea buckthorn is sourced through fair trade agreements with local harvesters in Tibet. 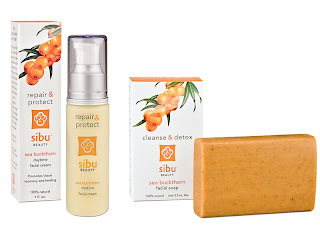 *Follow me @jamaise at Twitter & Tweet this : RT @jamaise #GIVEAWAY #WIN - Valentine's Day ~ Sibu Beauty ~ Repair & Protect- Cleanse & Detox Combo <3 http://bit.ly/ga1eJ8 ends 2/8 tweet each day for one entry each ! Disclaimer: Sibu Beauty provided me with all information and product to review. I was under no obligation to review it if I so chose. Nor was I under any obligation to write a positive review or sponsor a product giveaway in return for the free product. I would love to win this for my mom because she has very sensitive skin and a variety of skin conditions. I'd love to get this for my mom! I know she's been looking for a great facial cream! I'd love to get the Sea Buckthorn facial cream for her! I am a GFC follower. I follow sibu on twitter! I am a friend via GFC. I would love to try the Sea buckthorn liquid supplement. I follow on GFC and would love to try 100% Organic Sea Buckthorn Seed Oil. I'd love to try the Sea buckthorn facial cream. I'm always looking for a good face bream, thanks! I would like to try the facial cream. I like to try the Sea Buckthorn Eye Cream. I've entered on your DVD friend Pack giveaway. would love to try Sea buckthorn facial soap. I would love to try the Sea buckthorn Omega 7 softgel supplement. #1 I like Sibu on Facebook (Elena Shkinder-Gugel). #2 I like Sibu on Facebook (Elena Shkinder-Gugel). #3 I like Sibu on Facebook (Elena Shkinder-Gugel). #3 I am your friend on Facebook (Elena Shkinder-Gugel). Follow @Sibu_Beauty on Twitter (@spelena). Entered your Lotus Home Cleaning System giveaway.